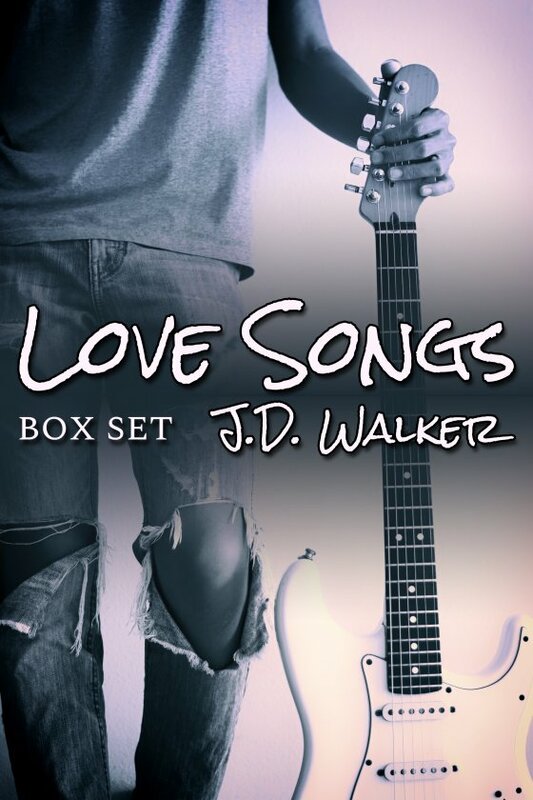 Love Songs Box Set by J.D. Walker is now available! I Can’t Get No Satisfaction: Georgie Baldt is dissatisfied with his life. Working dead-end jobs leaves little time to find that spark he’s lost, let alone someone to love. Then a trick from his past becomes his new produce manager. Ry Archibald remembers Georgie, but they end up arguing constantly at work, despite the sexual tension between them. Georgie decides it’s time for a change. Will Ry tag along for the ride? Love, Love Me Dude: Tory Cuthbert is shocked when Wheeler Ridley, a man from his past, arrives at his motel. Meanwhile, there’s Maury Landrum — handsome and willing, yet Tory can’t seem to take the next step. When Wheeler hits on Tory without recognizing him, Tory reveals all. But Wheeler remembers things differently. Then Maury resigns. Tory has to act quickly before he loses what he never knew he had, forever. Loving Me, Loving You: Hanson Yoo is tired of his job, and doing things to please his mother. A harrowing encounter at night in an alley leads him to Lindsey Grier, a man he’s sure would never look at him twice. But he is looking, and Hanson doesn’t know what to do about it. A serious misstep and a life-changing moment lead him to take charge of his future and do something for himself, this time. Norwegian Woody: Woodrow “Woody” Anker grew up with the Zumpanos, and he’s in love with the eldest son, town Sheriff Rafe Zumpano. Problem is, Rafe is an alcoholic in denial and Woody wants to know why. When he finds out the truth, Woody doesn’t know how to move beyond all the lies. It takes a punch in the face, a hard kiss and even harder words to get these men to a place of trust. And love, maybe. Paint It, Black: Engelbert Trentworthy — call him Trent — doesn’t take himself seriously. He sleeps around, thinking that’s all he deserves because of his black past. And then, he meets photographer Elias Lane, whose photos of Trent cause havoc in his life. Elias wants more from Trent, but Trent’s not having it. So the dance begins, and Elias will do anything to get past Trent’s barriers, because he’s perfect. Purple Daze: When Gabe St. James meets Beebub Beaumont, he knows it’s love. But his best friend is larger than life and not meant for the small town in which they live, and all too soon, he goes away to college. The day Beebub comes home, all the feelings Gabe has tried to bury return to the surface, and resentment rules his actions. Beebub wants Gabe, but Gabe, he’s not so sure anymore. Take Me Back: Gus Atchison despises Seb Paddington for choosing a job in another state over their relationship. But Seb keeps coming back to town, trying to start something up between them again. They end up arguing and finally call a truce. However, when Seb returns four months later, he’s too thin and Gus realizes he still has feelings for Seb. Will Gus take him back? Or will they remain at odds forever?